Believe me when I tell you, hashtag stacking is the biggest factor that changed up my hashtag game and skyrocketed my reach/impressions per post. So, what exactly is it? Basically, hashtag stacking is when you order (i.e., “stack”) groups of hashtags within different ranges of post number. For example, you choose groups of hashtags with 0-50k, 50-150k, 150-500k, 500k-900k and 1+ million posts. The idea behind this strategy is to use those hashtags in that order (i.e., from lowest to highest number of posts) to increase your chances of ranking for those hashtags. By ordering hashtags in this way, you can encourage the algorithm to work in your favour. Let me explain. You need a certain amount of engagement to rank for different hashtags. The more posts a hashtag has, the more engagement you will need to rank for that hashtag. So, it’ll be easier to rank for a hashtag with 10k posts than one with 100k posts (and higher). Using the groupings above, say you post a photo and it reaches the threshold of good engagement (likes and comments) that allows it to rank for some of the hashtags in the 0-50k group. Then, as you continue to receive more engagement, the algorithm will see your post as high quality and expose it to more of your followers, which will get you even more engagement, and so on. Thus, this effect can allow you to rank for increasingly popular hashtags. Eventually, if your post reaches the threshold of likes and comments for one or some of the hashtags in one of the larger groups (e.g., 500k-900k, 1+ million), you can rank for those hashtags and EXPLODE your exposure. Phew! That was a lot to take in. But I’m telling you, it works. If you need an example, take a look at how I’ve hashtagged my posts @la_wandereuse over the last couple of months. You can clearly see how I stack my hashtags. 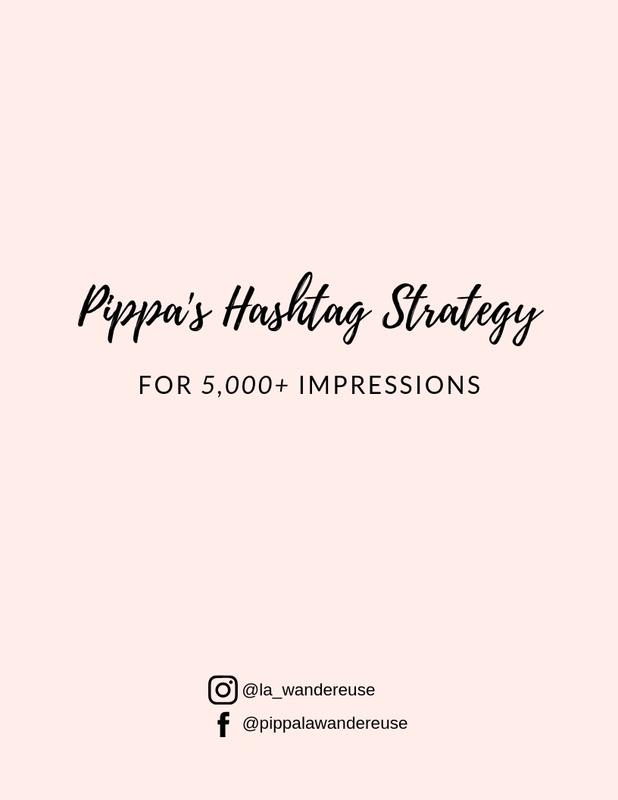 Using this strategy has gotten me over 5,000+ hashtag impressions on individual posts. Why is this important? Because ranking for niche-specific hashtags in this way has increased my engagement and allowed me to target/increase my exposure to my ideal follower. 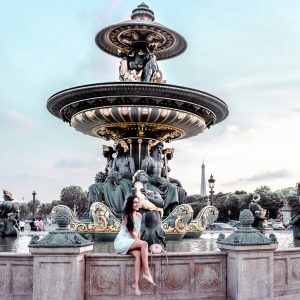 One key to using this strategy successfully is to not use more than 25 hashtags (i.e., either 2 in the caption and 23 in the first comment OR 3 in the caption and 22 in the first comment) in your post. Why is this? There’s no concrete answer, but it may have something to do with Instagram’s 30 hashtag limit. Right now, you can use a maximum of 30 hashtags in a given post. And loads of Instagram strategists are advising others to use all 30 – because they see each hashtag as a chance to get exposure. However! It is important to understand that Facebook/Instagram capped hashtags at this number to prevent people from being ”spammy.” I think this means that using the entire 30 hashtags is, in effect, the new threshold for, well…being spammy! As such, by using the entire 30 hashtags, you may be effectively reducing your reach (by attempting to do just the opposite!) because you are indicating your post as spam by over-utilizing hashtags. I actually experimented with using all 30 hashtags (and even 60 hashtags – DM me if you’re interested in knowing how) and found that when I used no more than 25 in total, my hashtag impressions went from around 1,000 per post to 5,000 per post. Keep in mind, this may also be tied into other factors, such as my follower count and posting time. But I definitely think that regardless of such other factors, using this strategy will significantly boost both your hashtag impressions and exposure. Given that the algorithm works differently for everybody, I suggest playing around with the number of hashtags you use per post. But first, post a few times using 25 hashtags maximum (the way I described above) and see how that works for you. I’d love to know how this strategy is working for others, so don’t be shy – slide into my DMs and let me know how it works for you! Or just let me know if you have any questions about the strategy in general – I am always happy to help.